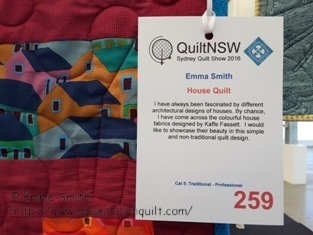 Last year, I missed the entire 2015 Sydney Quilt Show as I was in Paris at the time. 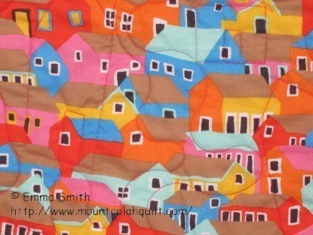 So, I'm very happy to be around home this month. 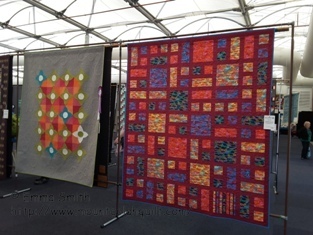 I went to see my 'House Quilt' hung at the 2016 Sydney Quilt Show last Thursday. 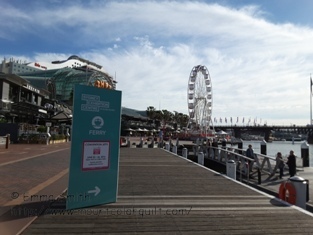 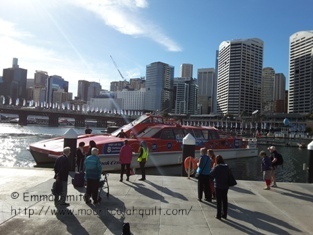 It was a glorious day at Darling Harbour. 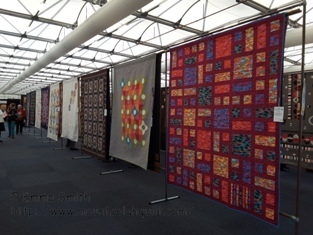 Quilts on display were so marvelous. 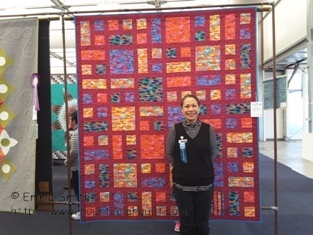 I also enjoyed catching up with many quilters that I'm fond of but rarely see them, including my quilting teacher, Meg Orr. 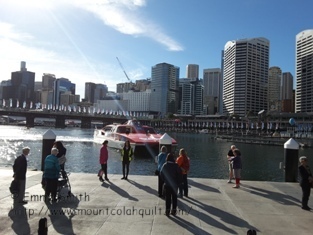 It was definitely a wonderful day for me at the Show. 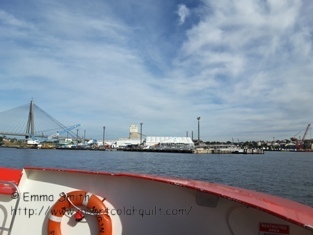 Travelling to the Show by ferry. 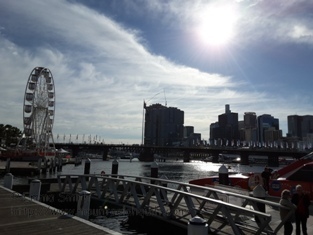 2 days after my return from an overseas trip. 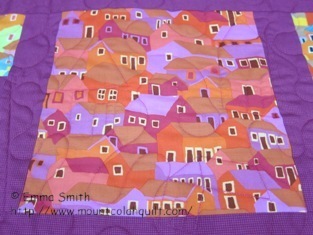 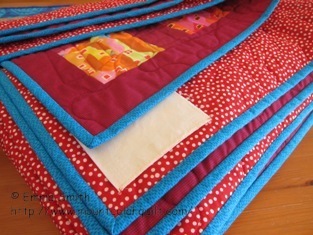 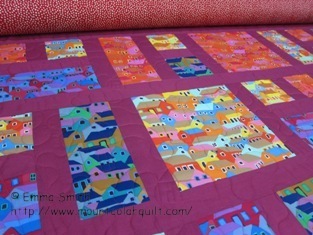 Quilting, quilting, quilting.... 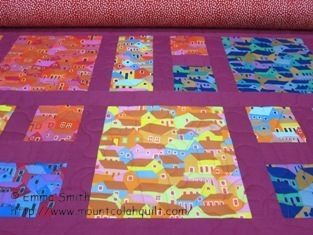 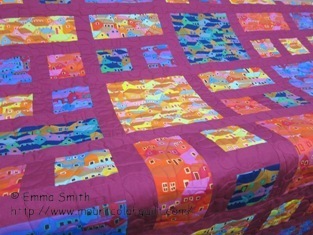 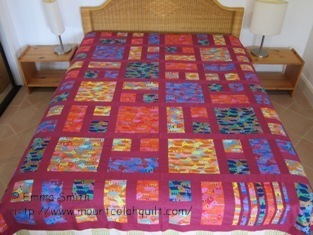 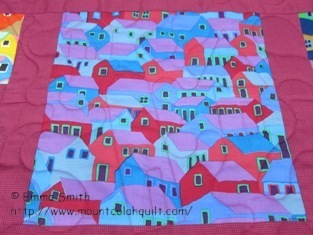 I had to get the quilting done earlier in the process before leaving home for another trip overseas. 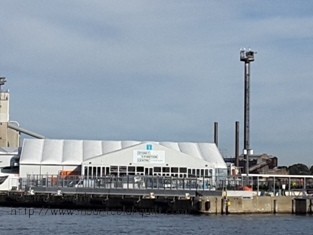 a couple of weeks before the Show started.